← Why are suicide rates increasing along with increased usage of antidepressants? 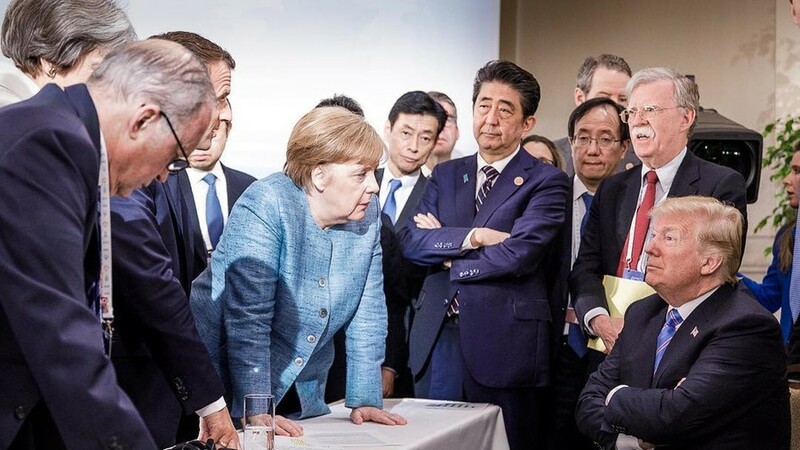 In general news, President Trump caused a stir at the G7 meeting by not agreeing to any of the other nations’ plans and announcing stiff tariffs on imports. He left the event early to fly to Singapore to prepare for the historic North Korean denuclearization summit. In the US, for the first time ever, job openings of 6.7 million exceeded the available workers of 6.4 million and the stock markets broke more records. Trump pardoned at the behest of Kim Kardashian a great grandmother in jail for a drug offense. Finally, the horse named Justify won the Triple Crown. In healthcare business news, Trump signed a bill into law giving veterans more options in the free market healthcare system when the VA cannot handle their needs. Also, Axovant (AXON) spiked 160% on a licensing deal with Oxford Biomedica. On the data front, ASCO generated news. A study showed that genetic testing of breast cancer tumors can obviate toxic chemotherapy for some patients. Merck’s (MRK) Keytruda continued to post good results in lung cancer. Meanwhile, Nektar (NKTR) plunged on failed data for NKTR-214 combined with Bristol’s (BMY) Opdivo in kidney and skin cancers. From the FDA, Mylan (MYLN) received approval for Fulphila, a biosimilar to Amgen’s (AMGN) Neulasta.